BlogcompanyDo You Know How to Dispose of a Used Fire Extinguisher? How Long Will a Fire Extinguisher Last? There are a number of reasons a fire extinguisher is no longer safe to use. In general, they should be replaced every 10-12 years, and should be disposed of if you notice any of the below problems. Can My Fire Extinguisher Be Reused or Refilled? If there is no damage to the physical surface of the fire extinguisher, there’s always a possibility that it could be recharged or refilled. 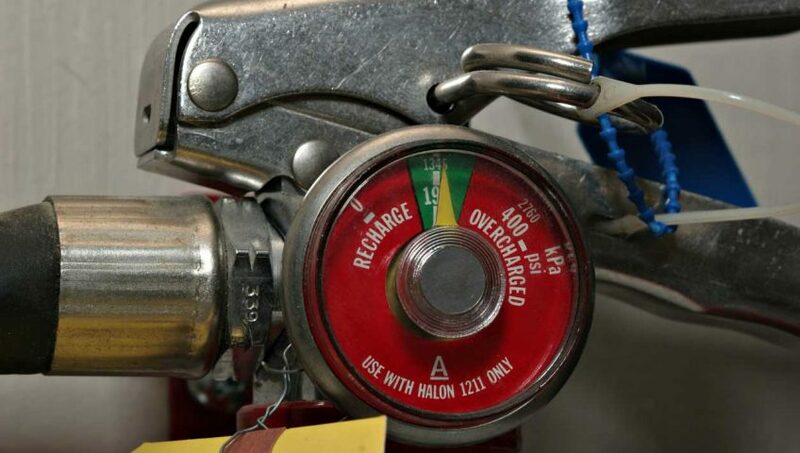 If you do decide to recharge your fire extinguisher, be sure it is carefully checked both before and after refilling to ensure that it still meets all minimum operational safety requirements created by state and national governments. There are a few options for disposing of a used fire extinguisher: recycling or completely tossing it away. Some fire extinguishers that are still mostly sound can be recycled by any steel processing facility. Your local fire department has a way to safely release any leftover extinguisher materials that are inside before you release it for recycling and processing. If your local waste recovery facility is able to accept the extinguisher, you need to first ensure that the extinguisher has been fully discharged. You can gently squeeze the trigger outdoors to clear out the last of any extinguisher fluids that are still inside. Keep in mind that some municipalities consider specific extinguishers hazardous, even when they’re completely empty. It’s important to always be cautious when you’re emptying or disposing of a used fire extinguisher. The materials inside can be under significant pressure, making it dangerous to discharge them inside unless using them for their specified purpose. It’s best to avoid inhaling the contents whenever possible. Need help with determining if your fire extinguishers are still useful or should be disposed of? Contact AAA Fire Protection today at 855-356-0020 or visit us online. Our friendly fire protection professionals are available Monday – Friday 8am – 5pm, and we’ve been serving the Northern California area since 1974.